There's an old saying - a week is a long time in politics. Hillary Clinton knows that first hand. Just over two years ago, she looked destined for the White House, this time as the commander and chief. In 2007, she officially decided to run for president, announcing on her website: "I'm in and I'm in to win." And based on her track record, a lot of people thought she would. Eight years as America's First Lady, eight more as a senator for New York, Clinton basically ran on her "experience." Back in the early Nineties, as first lady, she led a task force to reform health care. It ultimately failed, but paved the way for America's new health care law. Clinton was also the first 'First Lady' to win a seat in Congress. She supported the invasion of both Afghanistan and Iraq, but later changed her mind on Iraq - saying Congress had been misled about weapons of mass destruction. 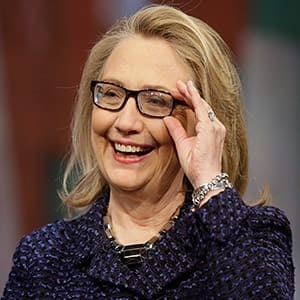 Then, came her run for president, her defeat in the Democratic primaries, Barack Obama's historic victory, and Clinton named secretary of state. And after eight years of the Bush administration, she has a tough job to do. There's the war in Afghanistan, the legacy of Iraq, Iran's nuclear program, the Middle East - plus, the need to renew America's overall standing in the world.